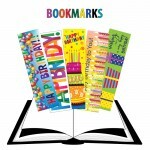 A Fun way to "mark your page" with Harcourt Birthday bookmarks. 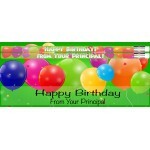 Size 2" x 7.25" • Printed ..
Order our TOP SELLING BIRTHDAY pencil assortment today for your students. 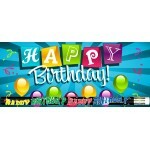 Sold in Boxes..
A great way to recognize your students on their Birthday with this Harcourt Birthday Card. 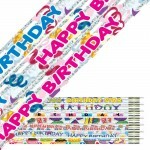 ..
What Better Way to recognize your students on their Birthday than with this Harcourt Bir..
A great way for the Principal to recognize his/her students on their Birthday with this Harcourt Bir.. 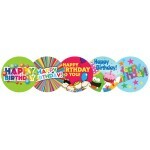 Wish your students "Happy Birthday" with these colorful stickers! 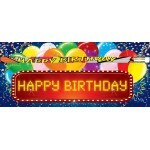 Size: 2" - 5 Designs - 200 Stic..